I’ve never been to Morocco, nor have I ever had a back massage that put me into a deep, dreamy sleep. 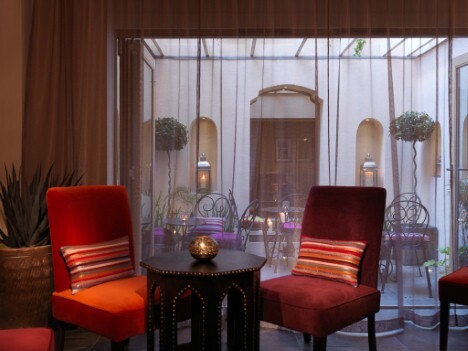 But at The Spa at Dolphin Square, I experienced both in one blissful hour of exotic relaxation and pampering. Albeit a little difficult to find – The Spa is nestled within the modern leisure centre and apartments of Dolphin Square in trendy Pimlico – the warm welcome, delicious fragrance and authentic Moroccan décor is well worth the searching. Sitting in the dimly lit waiting room, flicking through magazines and drinking herbal tea, I knew I was in for a treat. 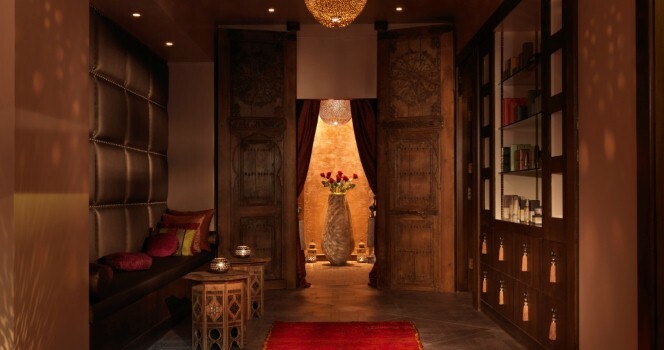 The Spa specialises in authentic, luxurious Moroccan rituals, especially evident through their use of traditional Hamman treatments and deeply nourishing Rhassoul lava clay in their packages. I opted for an Arabian Back, Scalp and Face Ritual. I couldn’t decide which part of me needed pampering most, so I opted for this 70 minute-long treatment to get the best of a back massage and a facial. My therapist was the lovely Sinead and she talked me through the ritual before everything started. The back massage is designed to re-energise tired limbs and achy muscles (and that was exactly what I needed!). Using Arabian influences movements and the sumptuously fragranced warm oils, my weary joints were nursed back into mobility. But this was no ordinary massage – maybe it was Sinead’s magical healing hands, or the delicate background music and cosy atmosphere, but I drifted into a lovely dreamy snooze. I was only stirred from my slumber to roll over for the facial. Facials are one of my favourite ‘me time’ treats; everything from the warm flannel cloths to the painted-on mud masks fills me with excitement! The Spa uses the [comfort zone] range in all their facials and everything from the Active Pureness Scrub, Hydramemory Cream and Eye Supreme Cream Gel worked brilliantly at transforming my dull and tired looking skin into a cleaner, brighter complexion. While I had my mask on, the scalp massage started. It was hypnotically good and pure bliss. Again, I was able to drift off into my own thoughts, enjoying the seriously pampering experience. 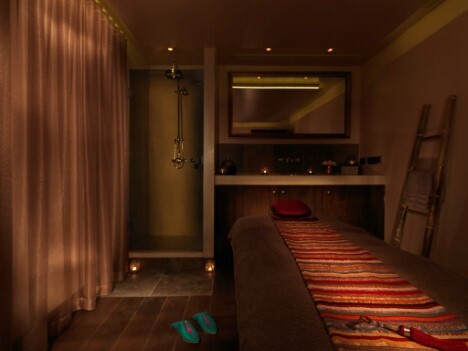 I found it hard to leave The Spa at Dolphin Square – with the rain thundering down outside, I was hard pushed to say goodbye to the exotic Moroccan atmosphere. But with new found vitality and baby soft skin, I left knowing that when I find myself pining for a holiday, the sunshine or simply a bit of TLC, I knew I’d be visiting again. The 70 minute Arabian Back, Scalp and Face Ritual costs £99. To book visit DolphinSquare.co.uk/spa or call 0207 7986767. Nikki was a guest of The Spa at Dolphin Square.